Please call Eddie Jack on 07831497703 to talk through your groundcare hire requirements. We offer an excellent variety of Groundcare Machinery Hire at Ernest Doe from top manufacturers such as Trilo, E-Z-Go, Cushman, Kawasaki and more. You can learn more about the individual machines below. 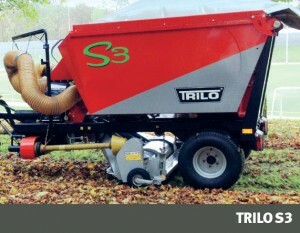 The Trilo S3 is a perfect vacuum sweeper for clearing grounds and fields. 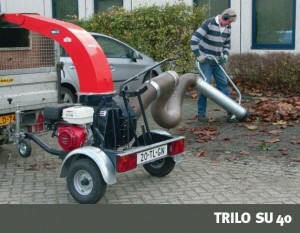 The Trilo S3 is a small tip truck with a working width of 1.50m. Its modest dimensions and large suction power enable you to work quickly and efficiently, in small areas and in wet conditions. The machine can be equipped with various options like a gully brush, twisted flail shaft or a verticut shaft. This makes the S3 a versatile machine, to use all year round. The TRILO SG1170 has been designed with the notion of combining two successful machines from the TRILO range. By using the largest vacuum turbine in combination with the compact undercarriage taken from the SG700, the result is a high power machine which generates a very large suction force, thanks to the use of a large pump and a low surface pressure. The whole machine takes a more compact form ensuring that less damage is caused to your ground. The balanced fan and dual-walled housing provide for a resistant, reliable and most importantly, safe power source. 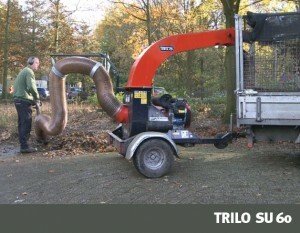 The TRILO SU 40 vacuum unit makes light work of collecting leaves, litter, horse droppings and grass-clippings. The material is picked up using the 3.5m wander hose, it passes through the four bladed armoured fan and is shredded before being blown into the trailer. This reduces the volume of material being collected. The fan is V-belt driven so the drive isn’t straight on to the crank, thus reducing possible damage. The driveline is straight forward and easy to maintain. The advanced fan design creates less noise and low resistance and is statically and dynamically balanced to ensure smooth operation and long life. 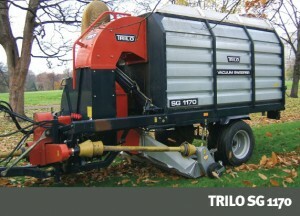 The TRILO SU 60 vacuum units have been developed to allow rapid vacuuming of leaves, litter, grass, wood chippings etc. The machine is installed onto a quick transport undercarriage with rotating nose wheel. Couple it, take it with you and start working. The balanced fan and dual-walled pump housing provide for a resistant, reliable and most importantly, safe power source. The driveline is provided by a quiet fan belt transmission which is connected to a Honda V-twin petrol engine. The adjustable exhaust spout can rotate 360 degrees and be set to any desired angle so that material located in even the most inaccessible places can be extracted into the vehicle’s container. The TRILO C 15 is a fully mounted, PTO driven flail / scarifier collector with a working width of 1.5m, built to the very high standard associated with the TRILO range of machines. Specifically designed for tractors of 28 DIN HP and above, requiring a single acting hydraulic system to operate the hopper emptying mechanism. A multipurpose machine, this robust and compact unit will cut and collect grass from rough or fine areas, scarify and collect leaves, moss, horse droppings and other debris. The 18 wind paddles fitted to the heavy duty finely balanced rotor ensure a thorough uptake of material. 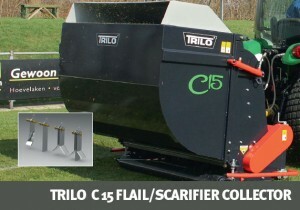 Fitted with 3mm scarifying blades, the TRILO C 15 will, in one pass, leave an aerated and well groomed finish – regenerating previously matted and stale ground. The heavy duty twisted flail or back to back flail blades can be easily fitted using the unique blade locking system designed specifically to make life easier for the end user. The material is discharged by operating the cab-mounted single acting hydraulic lever which raises the rear of the hopper, allowing compact tidy heaps to be deposited at disposal sites. 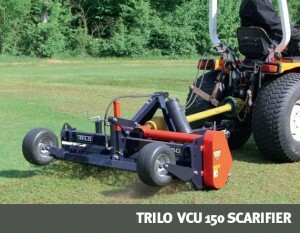 The Trilo VCU 150 unit is specially designed for sports fields, flat areas, parks, and is the solution for all your thatch problems. The machine drive is completely mechanical, so that it has no hydraulic hoses and cannot leak. The machine has a working width of 1.5 metres and is constructed on a single rigid frame. 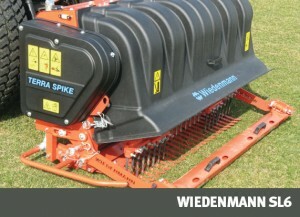 The machine can handle thatch build-ups right down to 40mm without any problem. The working depth is adjustable by way of a steeples adjuster on the left and right sides, which moves the front roller against the scarifier blades. height you can clear the area both to the left and right. 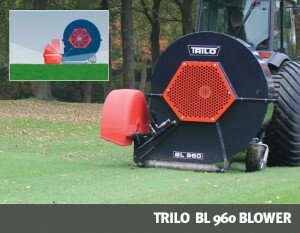 Ideal for deep aeration and removal of compactions up to 21 cm depth. Its gentle working procedure is equally popular for users and players because it does not interrupt or impair game operations. The compact mounting is suitable for tractors from 14,5 kW (20 HP) and allows large area coverage with simultaneously impressive work quality. A crank lever and the QuickFit make it easy to rapidly and exactly adjust the working depth and the loosening angle. The TERRA SPIKE® SL is equipped with exchangeable tine holders. The tine heads can be rapidly exchanged with only one screw. The unit is distinguished by exchangeable tine heads for quick changing of working tool, rear roller andVibraStop for the protection of the operator. Collection/separator combination for collecting and processing cores. 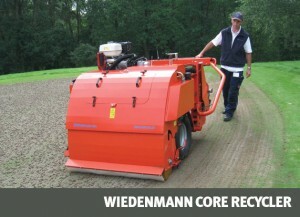 The CORE RECYCLER is a unique machine on the market for golf greens and tees. Its sweeping head unit gently takes up cores that have been previously punched out and transfers them to the separator. This unit consists of four turning, individually settable drum screens. Rough organic components such as thatch are separated from the bound sand. The sand is subsequently returned to the earth and the organic mass is pitched into the collecting container. This action means a considerable time and cost saving for surface sanding, since up to 80% of the valuable sand/ground mixture is reintroduced into the turf. 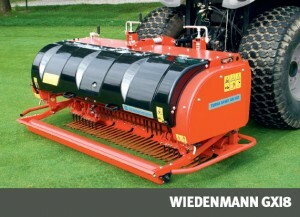 For deep aeration and removal of compactions up to 25 cm depth. The TERRA SPIKE® GXi was especially developed for use on golf greens, tees, and sandy sports fields as well as other fine lawns. Its gentle working procedure is equally popular for users and players because it does not interrupt or impair game operations. The compact mounting is suitable for tractors from 15 kW (20 HP) and allows large area coverage with simultaneously impressive work quality. Two scales and three cranks ensure easy setting of work depth and incision angle. 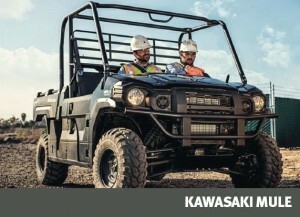 Featuring a 4 cylinder 46 hp diesel engine, the TG5470 IQ has 12 x 12 speed, heavy-duty forward and reverse Power Shuttle transmission, for quick directional changes without using the clutch. Heavy duty front and rear axle capacities can handle the toughest of jobs and the 3-point linkage has a lift capacity up to 1580 kg. 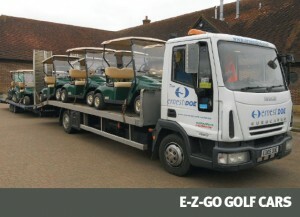 We are the largest Golf Car distributor in the South and South-East and can provide golf car hire services for all occasions, including annual, seasonal and short term hire for the golf course and event hire to support festivals, weddings and any other small or large scale event you may be planning. We also have our own expert service technicians to ensure that you have full peace of mind when you choose Ernest Doe as your trusted supplier. Give your golfers a superior experience with the upgraded TXT. 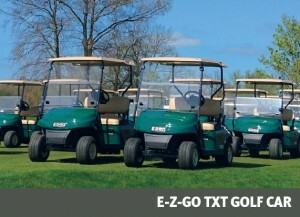 Now packaged with even more smart features, only the TXT combines almost two decades of dependable performance with proven innovation securing its spot as the industry’s most trusted golf car. As the longstanding leader in golf car innovation, AC drivetrain efficiency and IntelliBrake™ technology, the RXV continues to raise the bar on a premium golf experience. 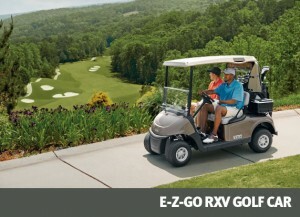 No other vehicle delivers reliable, efficient performance and an unmatched round like the RXV. 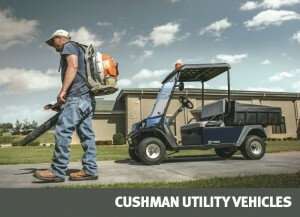 The Cushman Hauler PRO X utilisies the power and capacity of the 72 volt AC electric drive train, coupled with its lifted suspension that provides increased ground clearance for navigating tough terrain. The AC system contributes to the excellent range of up to 50 miles (81 km). The Imants Shockwave is a linear decompactor, designed to revitalise heavy wear areas by relieving soil compaction, improving aeration and removing surface water. 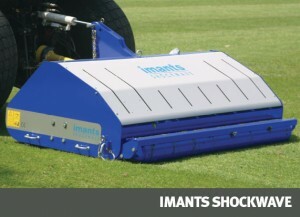 The Imants Shockwave is reputed to be the world’s fastest PTO driven rotary, linear decompactor. 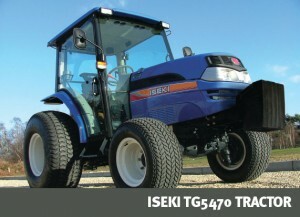 The 155 model is designed for mid-range tractors, and for use on fine turf and sports fields. As with all Shockwave models, it features a no-chains, direct drive design, maintenance free “sealed for life” bearings & no shearbolts. 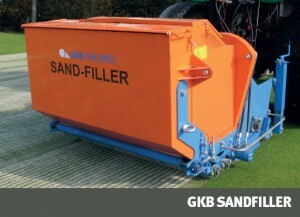 The GKB Sandfiller has been designed to tackle the problem of surface drainage and aeration on golf courses, especially on “greens”. As the topsoil is aerated and filled with sand, the conditions for excellent root growth are created. In order to properly follow the contours of the underlying soil, three adjustable depth rollers are used. There is a slitting rotor situated between the conveyor rollers, and this is used for aeration and verticutting. The two rear conveyor rollers are pivoted in order to distribute the weight efficiently. The material that is removed from the top layer through verticutting is immediately collected in a sideways-tipping container. 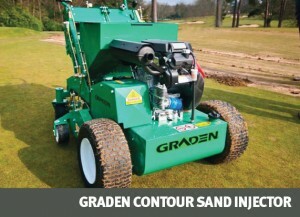 The flow of sand is controlled hydraulically by means of an adjustable valve on the side of the machine.For golf courses and sports fields where surface water and moss forming are a problem, the new Sandfiller offers the perfect solution. The network that it creates ensures faster drainage and intensive aeration, resulting in a higher level of playing capacity. A floating head pedestrian Graden with the ability to inject sand through a gravity feed system. It is ideal for level and undulating areas such as golf greens, approaches and lawns. Don’t just groove it, fill it!